Kelly Virbickas has lived in the Washington area since graduating from the University of Massachusetts at Amherst with a B.S. Degree in Business Management in 1993. Kelly began her career in Real Estate in 2004, and specializes in helping sellers achieve the highest possible price for their homes. When the economic crisis occurred in 2006, Kelly filled a dire need for her clients by creating Washington Home Staging, a business dedicated to giving sellers a competitive edge by staging their homes to perfection. When the Washington area recovered from the recession, Kelly focused back on sales, and retained her home staging expertise. Kelly is absolutely convinced that proper presentation is the key to her success in delivering record sale prices for her clients. Kelly consistently ranks among the top producers and in 2014, she was recognized as the Number 2 Individual Agent for her former brokerage's Dupont-Logan Office. 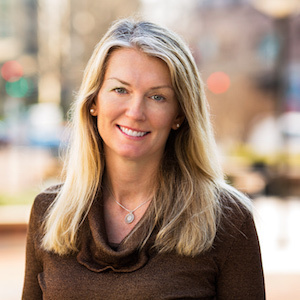 Kelly has lived in many different neighborhoods since moving here, including Old Town Alexandria, Capitol Hill, and Logan Circle. Kelly now resides in Chevy Chase with her husband and three daughters. She is licensed in DC, MD and VA.